In a lyrical, captivating debut set against the backdrop of the Harlem Renaissance and glittering Jazz Age Paris, Joe Okonkwo creates an evocative story of emotional and artistic awakening. On a sweltering summer night in 1925, beauties in beaded dresses mingle with hepcats in dapper suits on the streets of Harlem. The air is thick with reefer smoke, and jazz pours out of speakeasy doorways. Ben Charles and his devoted wife, Angeline, are among the locals crammed into a basement club to hear jazz and drink bootleg liquor. For aspiring poet Ben, the swirling, heady rhythms are a revelation. So is Baby Back Johnston, an ambitious trumpet player who flashes a devilish grin and blasts jazz dynamite from his horn. Ben finds himself drawn to the trumpeter—and to Paris where Baby Back says everything is happening. In Paris, jazz and champagne flow eternally, and blacks are welcomed as exotic celebrities, especially those from Harlem. It’s an easy life that quickly leaves Ben adrift and alone, craving solace through anonymous dalliances in the city’s decadent underground scene. From chic Parisian cafés to seedy opium dens, his odyssey will bring new love, trials, and heartache, even as echoes from the past urge him to decide where true fulfillment and inspiration lie. Pushcart Prize nominee Joe Okonkwo’s short stories have appeared in a variety of print and online venues including Storychord, Cooper Street, Promethean, Penumbra Literary Magazine, Chelsea Station, Shotgun Honey, and Best Gay Stories 2015. He earned an MFA in Creative Writing from City College of New York. 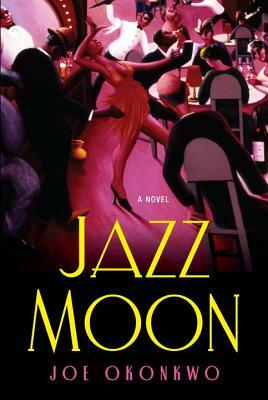 Jazz Moon is his first novel. Readers can visit his website at www.JoeOkonkwo.com.